Do you miss the mill? I didn’t live there then, so I don’t know. 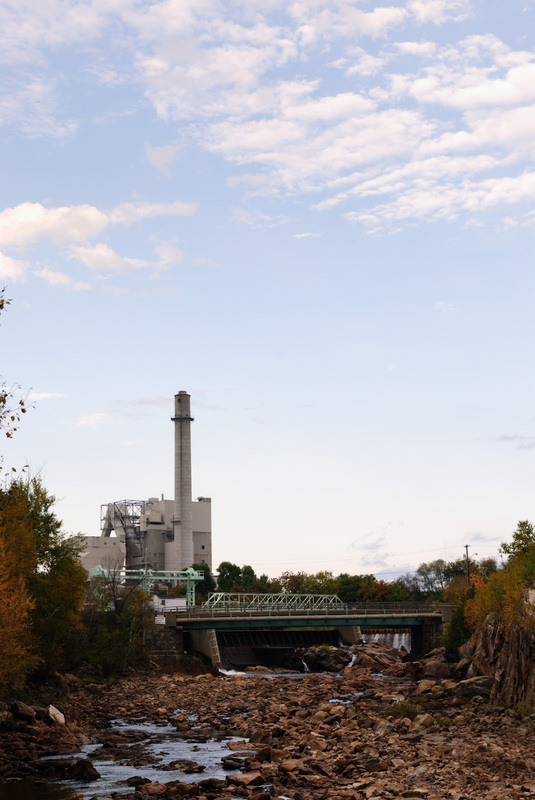 I lived near Livermore Falls and Jay during high school, and a girlfriend’s parents lived in Rumford years later, but there is a big difference between being connected to a mill town and living in one. Mr. Grenier misses the jobs, I’m assuming, and he didn’t mention anything about enjoying the clean air today. That doesn’t match with my sensibilities, but I was never laid off from the mill. I am comfortable telecommuting from my laptop to anywhere in the world. Not everyone can do that. Not everyone shares my perspective, and I fear too many of the people on LPJ share a worldview closely aligned with mine. It’s time to make more room. So tell me, please, do you miss the mill? Was the smell worth it? The sad part is the people who lost blue collar mill jobs aren’t the ones cruising the web checking out blogs. They didn’t leave the mill to work on computers; they left to find another working class job to pay the bills. And just because they don’t have time to post 100 comments doesn’t mean their views aren’t valuable. While my perspective prefers the clean air, my job isn’t to preach my perspective. It is very likely Mr. Grenier isn’t alone in preferring a prosperous, dirty city, where everyone made a good wage and Main Street thrived. To discount that perspective is to do a disservice to the residents of the city, even those who aren’t working class. Middle class versus working class—the difference is clear in Berlin. There are middle class opportunities, but few working class jobs left. Look at the story I did a few weeks ago about the parts supplier running a business out of his house—how do you take that opportunity if you don’t know computers? How does working class escape the rut in Berlin? I wonder what infrastructure the city really needs to survive. How can industry survive today in the U.S. in general ? Could it survive in Berlin? Are working class people who aren’t comfortable with computers doomed in the new economy, both locally and nationally? Or is my job going to be shipped to India, and the tradespeople will have the last laugh? So please, in the name of science, tell me if you miss the mill. And maybe list off your education and some socioeconomic background, to see if those are indicative of anything. Mill—Don’t miss it (How could I?). My bias is obvious. Do other people notice theirs? Answer the question Jon. Do you miss the mill, and what kind of car do you drive?Thanks. Well Erik, I think asking the question "do you miss the mills" is a useless/pointless exercise. Economically speaking, asking if we miss the mills is a bit like asking if you miss your parents after they pass away. The mills were the economic life blood of the region, but in my mind it's a moot point after we've grieved for years. People like Paul Grenier are stuck in "that" past and only recognize things that look, smell and behave somewhat like a paper mill. Quality of life is never a priority for folks living in the past and health issues related to industry are ignored or trivialized. Remember back then, these same people were laughing and saying "the smell of money" while the chemicals like chlorine were burning the lungs of their loved ones. There's a way for Berlin to develop a new economy without having to prostitute its quality of life or the health of its residents. Those who fail to see the full potential of Berlin need our sympathy not our vote and are wasting our time. I don't miss the mill. I have an interesting statistic for everyone. When I was in high school my mom (who was working in health care in the Berlin/Gorham area) told me that a NH study indicated that the highest childhood leukemia rates in NH (per capita) were in Berlin & Groveton. Do you know what both communities had in common? That is right, paper mills. When I was in high school I actually mentioned this statistic to a paper company representative (in front of others) and he gave me a look of pure death. A look that said, "How dare you question my industry when we are providing good jobs to your community". He was a real piece of work. I had a friend who lived on the east side who developed childhood leukemia. What a dreaded disease. She survived (thankfully) and lives a good life today but she can thank the "smell of money" for what she suffered through. I can remember waking up in the morning to a film of yellow dust on my parent’s cars and wondering out loud how this disgusting residue was impacting my health and the health of others in the community. I remember my parents warning me that if I saw green vapor coming out of the mill that I should be really careful because I could die a horrid death from inhaling it (that was chlorine by the way). I can remember that horrid smell of rotten eggs every day. A smell you could never escape in almost all parts of the city (depending upon which way the wind blew). I can remember going to college and being embarrassed to tell people I was from Berlin because their first response would almost always be, "Oh, you're from stink town. How do you tolerate that smell?" With all due respect to the hard working men & women who worked in the paper industry for many years, I simply do not miss the pulp mill. It is time to move on. If you agree, then I strongly recommend that you do not vote for Mr. Grenier. He does not have the vision needed to lead this City into a post industrial America. Thanks for the responses. I particularly appreciate those who answered my questions.Background and experience play a huge part in people's perspective, and while I have mine I have no interest in imposing it on the city of Berlin. The Reporter is not my paper; it is the city's paper. If there are people in Berlin who miss the mill the paper should represent their views too.I think its valuable to register where perspective comes from. I see a lot of critical remarks and little self-reflection throughout the debates that hold the city captive. It's too bad, because its harder to demonize an opposition you feel empathy towards. The city might reach compromises and solutions by bridging those gaps, but neither side seems interested in developing a solution. They are too busy hurling insults at each other. It drains some of the community from the community.Imagine if the various parties reached a compromise to work toward promoting the city's future instead of denigrating each other. Wouldn't that be crazy? I wonder what the city could accomplish.But that's just naive, right? I mean, people can't even talk openly about where they come from and how it affects their views. Sorry, to the point of your questions. No I don't miss the mills (but I didn't work there). I have some college, but no degree. I started and operated several businesses in Berlin over a period of 30 years and I drive a 88 Town car with 140,000 miles. Now what's the point of this?